William Asprey, the seventh generation member of the celebrated Asprey family, founded William & Son in 1999. With his penchant for shooting and love for the finer things in country and sporting life, he is as quintessentially British as the brand he has created. 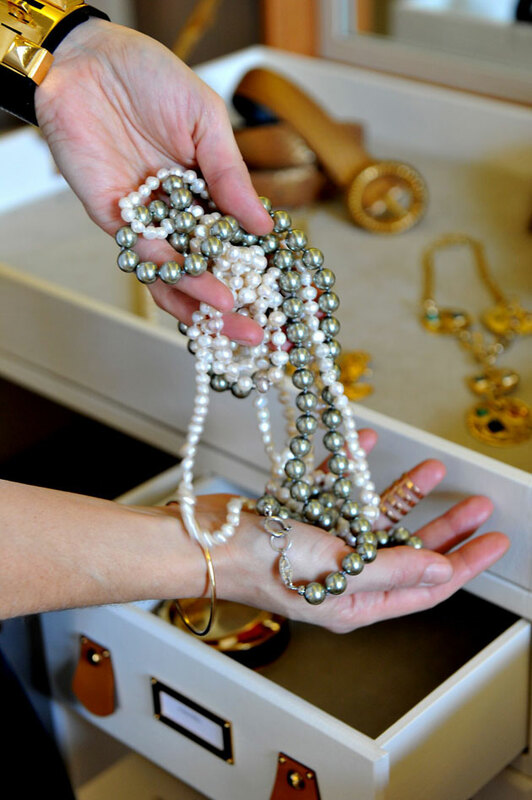 At the Bruton Street flagship collections of the finest jewellery and timepieces, leather goods and silver and glassware as well as paraphernalia for elegant penmanship and gamesmanship are displayed over two floors. The gleaming store is also the first point of call for any country sports enthusiast in search of kit and tackle. It also stocks bespoke, handcrafted shotguns as well as William & Son’s own line of perfectly cut but suitably sturdy country clothing. Speaking of which, the autumn/winter 2016/17 collection has a decidedly more contemporary edge than the traditional styles of past. Key pieces include women’s Orkney Tweed waistcoats and Breeks (breeches). Then there are pea coats, cashmere shawl collar cardigans and Linton tweed field coats for men. All tweeds are designed by William & Son’s in-house team and manufactured in Scotland, demonstrating further William’s dedication to home-grown craftwork and his mission to keep British manufacturing alive. Take the brand’s first knitwear collection for instance. The collection is produced in Hawick, in a factory William & Son recently purchased. Bellamy’s is just a stone’s throw away from our gunroom so it’s perfectly convenient to meet with friends or clients at William & Son and then walk across for lunch. The atmosphere is calm and relaxing whilst the food is outstanding. If you need a table last minute without a booking, they will always do their best to find you one. Hedonism is like a treasure cave full of unique and exciting wines. I love the interior. It matches the welcoming atmosphere with experts always on hand to offer their endless extent of knowledge. It’s my go to for a great bottle of wine, although the wine tastings always tempt me to stay slightly longer than necessary! The Connaught holds many memories for me, as it is just a few doors away from where we were previously based on Mount Street. The service is second to none and the staff are extremely accommodating. Having held many William & Son events at the Connaught, nothing is ever too much to ask. Even after moving to Bruton Street it is still a place regularly visited. As soon as you enter the lobby and smell their signature scent you instantly feel at home. The Halcyon Gallery is an amazing gallery for so many reasons. Firstly for working with so many emerging and established global artists – it represents artists from all parts of the world. It’s so easy to only see the work of artists around you when living in London, however Halcyon Gallery really champions the best from all over the world. By working with such varied artists, it allows guests to access art exhibitions, which they might otherwise miss due to lack of knowledge or interest. With 150 years of heritage and knowledge, it’s no surprise Dege & Skinner is the family run business I go to for suit tailoring. I enjoy visiting Savile Row and even more so now Dege & Skinner has introduced its first selection of ready-to-wear suits and blazers. As William & Son are for the craftsmanship, Dege & Skinner are passionate when it comes to protecting the traditions that have led to its success. Since launching in 1884, Breitling, the inventor of the modern wrist chronograph and aviation watchmaker par excellence, has shared all the finest moments in the conquest of the skies thanks to its sturdy, reliable and high-performance instruments. No surprise then that its New Bond Street flagship, which opened three years ago, reflects a cool aerial theme. With its American walnut wood floors and flashes of yellow lighting, it provides the perfect backdrop to the latest designs in its horology collections; Navitimer, Chronoliner and Avenger to name but a few. Throughout the New Bond Street boutique interior, bold Pop Art paintings by acclaimed artist Kevin Kelly for instance, illustrate pilots and bomber planes – reminiscent of Roy Lichtenstein’s work. Elsewhere, statues of Breitling’s iconic pin-up girl, inspired by 1940’s Nose Art, sit on the shop floor and atop its sleek new cocktail bar. 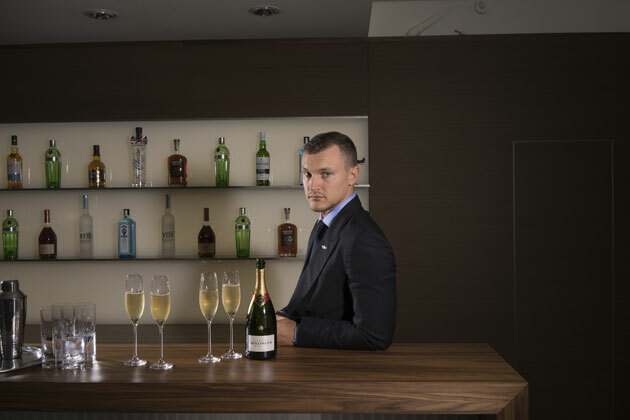 The bar takes centre stage in the store’s brand new customer entertainment area, which is designed to hold exclusive Breitling collection launches and VIP events. 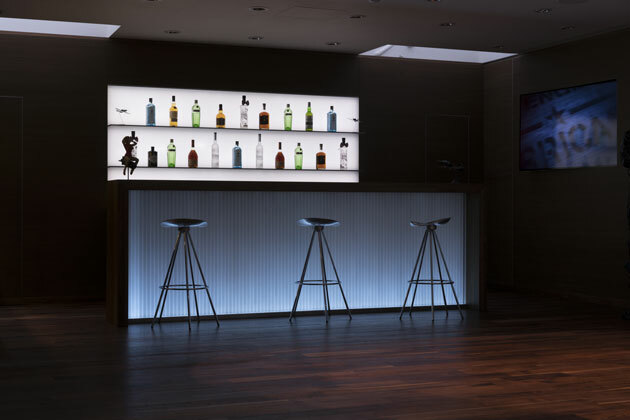 Constructed from walnut veneer and illuminated by soft LED wall and sidelights, it is the kind of bar you would could imagine an off-duty pilot perched at. No doubt they would be sipping on the aptly named ‘Upwards Ever Onwards’. This toe-tingling tipple is based on the ‘The Aviation’ from the 1940’s and made a splash at the launch night for the first Breitling Professional Series. Sean Fennelly, mixologist at Soho cocktail bar and members club Milk & Honey, created it in honour of special guest Squadron Leader Hugh Nichol – pilot of the most advanced fighter jet, the F35 lightning II. To make it you need Tio Pepe dry sherry shaken with fresh lemon, sugar with a dash of dry cherry liqueur, Dutch Violette liqueur and a splash of tonic water garnished with a Riesling, jasmine, orange and smoked Scotch mist cloud. At the event, Fennelly wowed guests by making said cocktail in a dynamic display, which involved creating puffs of vibrating smoke to mimic fluffy white clouds. The bar is also well stocked with Tanqueray No.Ten Gin, Johnnie Walker Gold Label and Bollinger. Tea and coffee are also served throughout the day should you prefer to keep your wits about you. 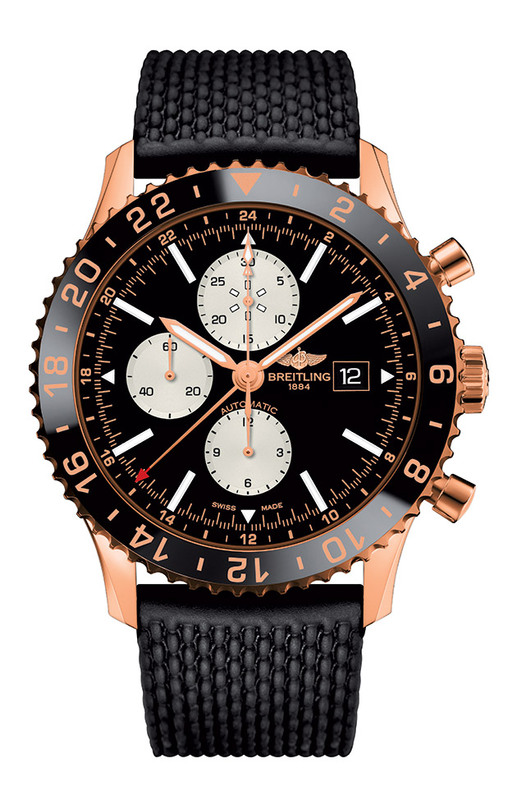 Looking ahead, Breitling’s race team pilot Nigel Lamb, will be next month’s guest of honour at an in-store event to mark the latest Breitling Professional watch series. From a brand that consistently steals the show at the exclusive Baselworld watch fair, expect to see plenty more soirées held here. In 1937, luxury German luggage brand Rimowa revolutionised the world of travel by developing the first ever lightweight metal suitcase using aircraft aluminium. 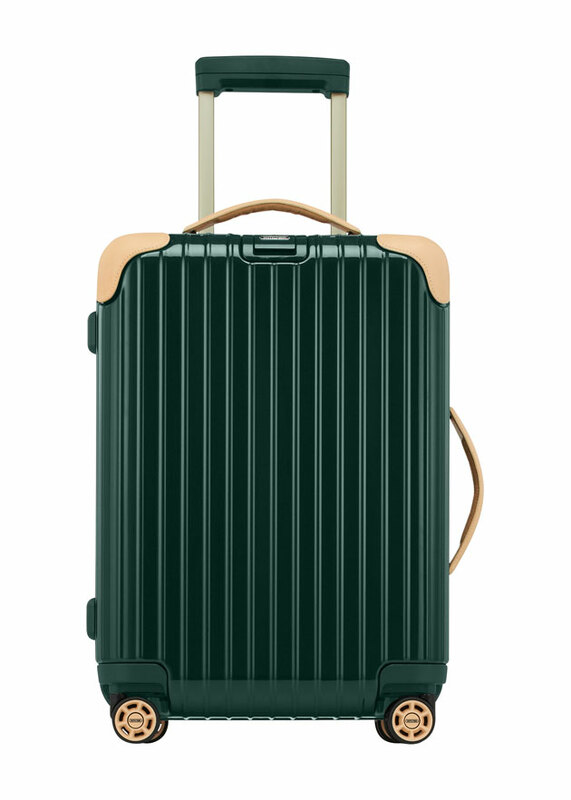 Its distinctive grooved outer shell and cool colourways have been a hit with fashionable jetsetters ever since. Last month saw the opening of the Cologne-based brand’s first London concept store on Bond Street. The new ONYX range launched here, as did the new ‘Electronic Tag’ system. The latter allows travellers to check-in from home using their smartphones. Meanwhile, back at its German HQ, of the 200 processes involved in making a suitcase, most are carried out by hand. Such is the case with the new Cabin Multiwheel priced at £805. Made from jet green polycarbonate it weighs in at 10lbs and is seriously groovy.